Filmmaker James Cameron is currently prepping his Pandora-set sequels Avatar 2 and Avatar 3, which do not officially have release dates set at this time. Once that trilogy is complete, the writer-director confirmed he is moving on to develop Battle Angel in the year 2017. The filmmaker revealed the news at the Tag DF technology forum in Mexico City. 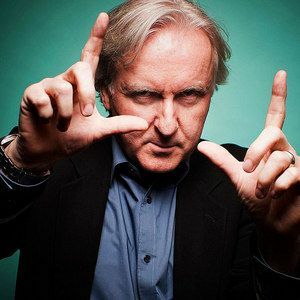 Take a look at a segment of James Cameron's conversation with Alfonso Cuarón , where he discusses the 3D in current blockbusters such as Iron Man 3 and Man of Steel, then read on for more information. It isn't known if Avatar 3 will be released in 2017 or before then. Actress Zoe Saldana revealed in May that the filmmaker wants to shoot both Avatar 2 and Avatar 3 back-to-back sometime in 2014. This news falls in line with comments James Cameron made in September, where he said he wants to focus on his Avatar sequels for the next four or five years. Battle Angel is based on the Japanese manga novels by Yukito Kishiro, set in the 26th Century where the world and society as a whole has collapsed following a world war. Cyborgs are commonplace in this universe, and humans often augment their own bodies with robotic parts. The story centers on a 14-year-old android named Alita, who has lost all of her memories.